So the question is, how are they going? Unfortunately if recent developments are anything to go by, pretty damn poorly. The challenge of course with mobile, is finding a way to out ads in whilst trying to adhere to that basic principle of advertising – try to avoid excessively irritating your users. There’s a fine line between ensuring you get your message across (heck a company has to make money, I get that part), and driving users to the point of homicidal distraction. The Facebook’s browser ads fall into the former category. The contrast with the experience of using mobile couldn’t be bigger. 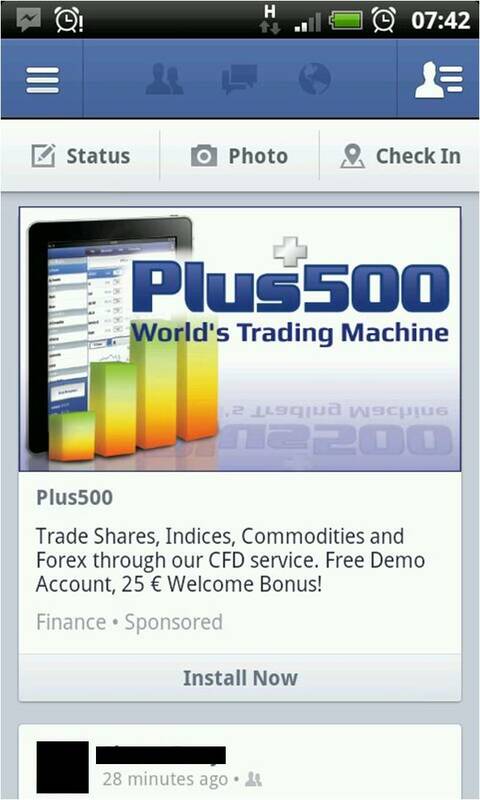 Recently, Facebook has started including full page “sponsored posts” on its mobile app. Or should I say in my case, and some others I know “a single sponsored post, repeated over and over again”. Mine is for a trading app (see right), a friend of mine is persistently haunted by gambling app whenever he uses FB mobile. That the same ad comes up repeatedly and exclusively, in my case since before Christmas, is intensely irritating. Now I should repeat at this point I do not have an objection to advertising on Facebook mobile – the company is trying to build revenue, and I’m getting what I believe to be a valuable service. My objections are these: Firstly, don’t fill the whole screen, you wouldn’t have an automatic pop up that fills a browser’s screen, so don’t do it on mobile. I’d happy accept if the ad came further down the News Feed. Secondly and more importantly, Facebook knows more about me by now than pretty much any other entity, human or otherwise, it has the capability to target me as a consumer to the point where I should be clicking without a second thought. So why does keep hitting me with the same ad that I’ve previously ignored? (repeatedly) This is getting back to the basic part of marketing – it turns me against both the advertiser (whoever they are) and the medium (that’s Facebook). It makes my experience less enjoyable, it turns me onto other services like Path. 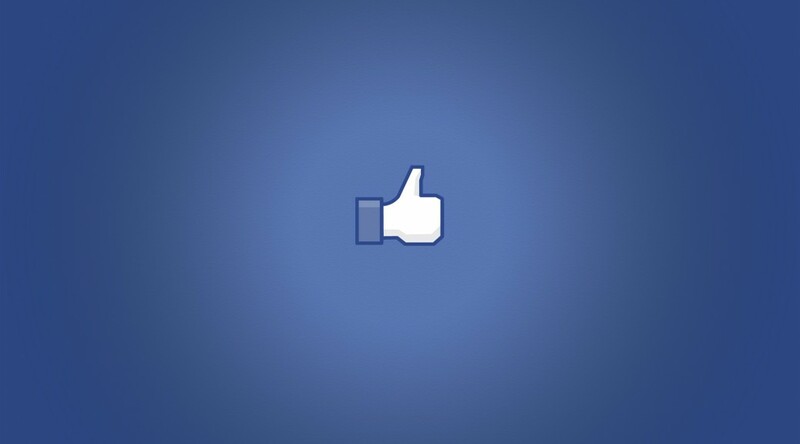 If you Facebook really wanted to test the efficacy of the advertising why not include a “Dislike” button… it’s certainly controversial, but both Facebook and the advertisers would start getting solid feedback on the quality of content, as opposed to the inferred response now: Click through = good; inactivity = ?? But here’s the real kicker. I use Facebook a lot, and for all my gripes I find it a very useful service. In fact I’m getting to the point where I would certainly pay money to use it… because I’ve realised it’s utility. So if Facebook were to offer me to pay a subscription (say £5 a month to be rid of such advertising), I’d seriously consider it… very seriously. There’s an opportunity here for Facebook. I’m not suggesting they force people to pay a subscription, but given the choice between this sort of intrusive advertising and £60 a year… at this point I’d likely take the latter. Facebook would have a novel new revenue stream, users, and perhaps since *I* am paying Facebook rather than advertisers, they might start to show me a bit more courtesy. So, Facebook, do the right thing, just take my damn money!